This is where US 222 ends, at US 1, near Conowingo, MD. US 222 formerly extended down to US 40 in Perryville, MD, but was truncated north to US 1. 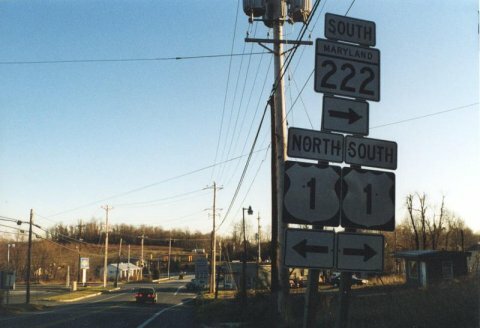 The former route between US 1 and US 40 is now state MD 222. Photo by Alex Nitzman. 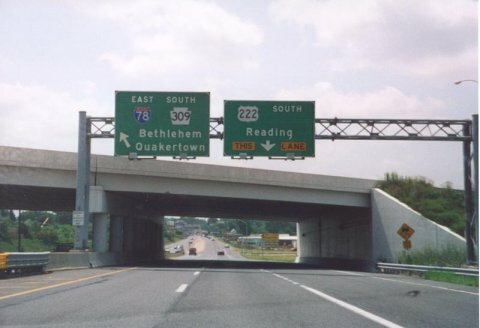 The north end of US 222 is at I-78/PA 309 in Allentown. Photo by Alex Nitzman.